Chris McGreal, author of American Overdose, shows how a small area of America overrun by opioids, exploited by big pharma, and neglected by politicians, became the epicenter of a nationwide epidemic. 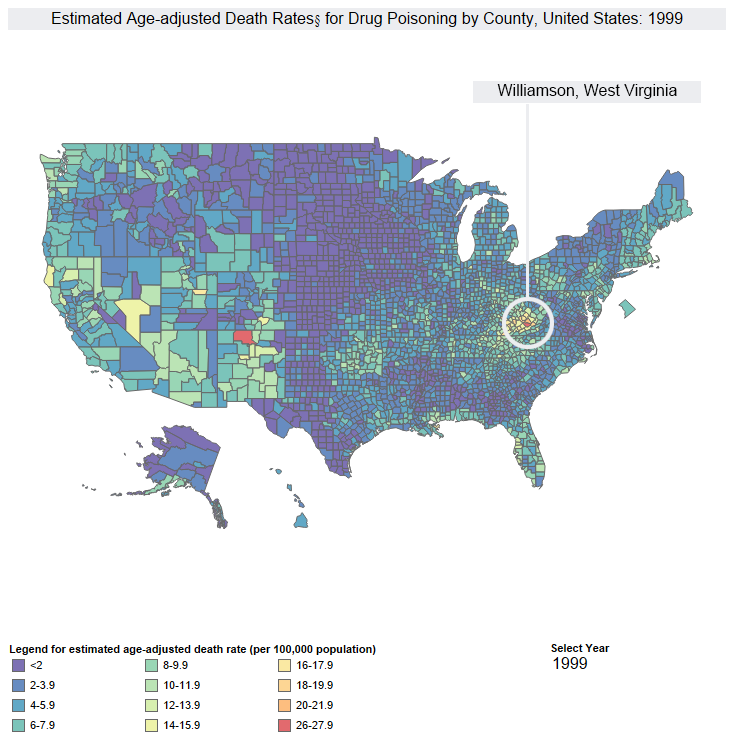 By 1999, the Williamson Wellness clinic, founded in a small West Virginia town by a former undertaker who used to run a prostitution ring, has begun drawing patients from far and wide as word spread its doctors prescribed large amounts of opioid painkillers on demand. The clinic sits in the heart of the region that rapidly became the epicenter of the opioid epidemic. Purdue Pharma, the maker of OxyContin, launches a huge marketing campaign for the drug, falsely claiming it is less addictive and more effective than other opioids. In 2003, the founder of Williamson Wellness clinic is sent to prison for tax evasion but his business grows as its doctors become among the largest prescribers of opioids in West Virginia, dispensing more than some hospitals. An article by Dr Jane Ballantyne, one of the US’s leading pain specialists, warns that opioid painkillers do not work as long term treatment and may even make a patient’s condition worse. Her warnings are dismissed as “extreme”. By 2006, Williamson Wellness has attracted the attention of the FBI and West Virginia police, but they struggle to show that mass prescribing painkillers is illegal and the clinic stays open. Just north of Williamson, pharmaceutical wholesalers deliver three million opioid pills to a small pharmacy in a Mingo County town of just 400 people. Purdue Pharma pleads guilty to criminal charges of falsely claiming its drug is less addictive and more effective than other opioids. 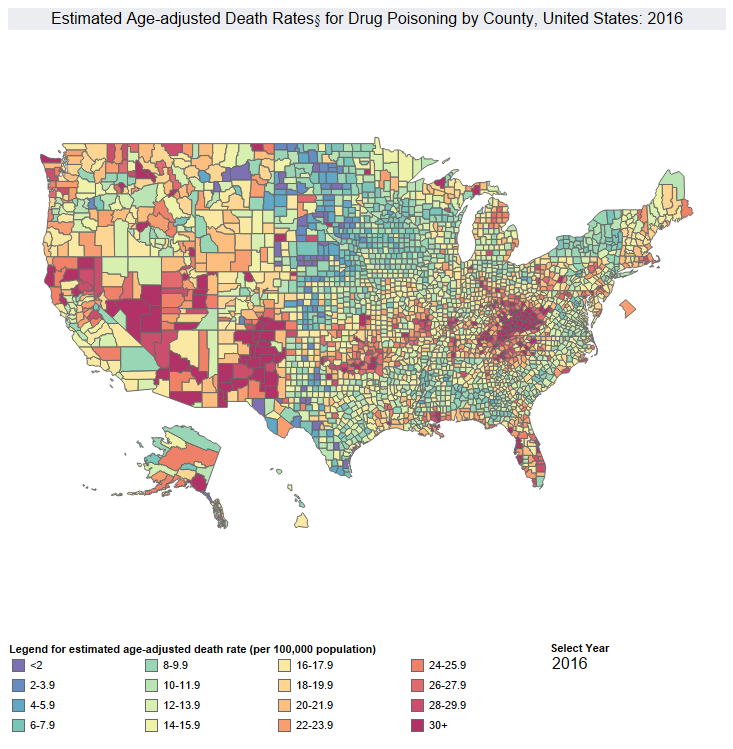 A CDC official compiles data showing that opioid overdose deaths were escalating far faster than had been publicly acknowledged and calls it an epidemic. In 2009, Williamson Wellness pulled in $4.6 million in a town with a population of little more than 3,000 people. The following year, the FBI and state police raid the clinic arresting several doctors for writing prescriptions for patients they have not seen. The agents find hundreds of thousands of dollars in cash lying around. The doctors, who made millions from prescribing opioids on a vast scale, are sent to prison. The formula for OxyContin is finally changed to make it harder to crush and extract the narcotic, but people already hooked still need a fix and demand for heroin begins to surge. With the Williamson Wellness clinic closed, and its doctors jailed and stripped of their medical licenses, the trade in illicit opioids has moved on. But the epidemic remains and West Virginia has the highest overdose rate in the country. Across the US, deaths from heroin overdoses already exceed those from prescription painkillers. In 2016, a powerful synthetic opioid, fentanyl, overtakes heroin to claim the most lives. A comprehensive portrait of a uniquely American epidemic--devastating in its findings and damning in its conclusions.